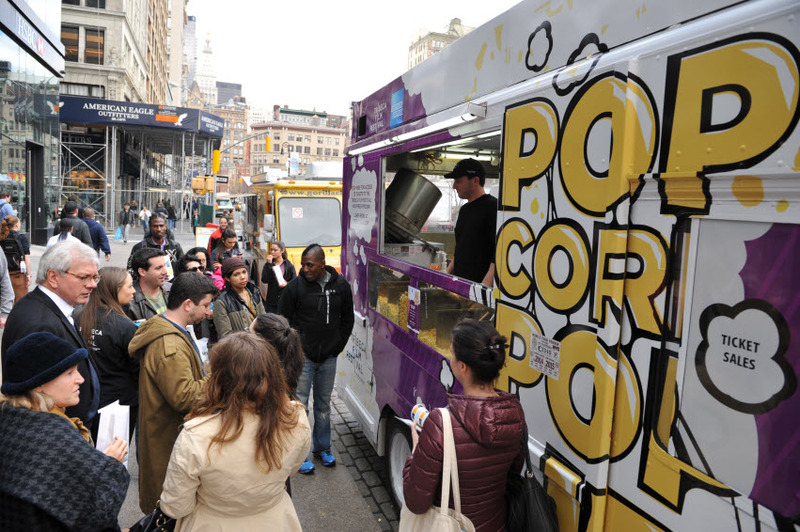 In an effort to get movie-lovers from all over the globe pumped up about the Tribeca Film Festival, Brooklyn Popcorn collaborated with American Express to offer our free gourmet popcorn to all who were on the scene April 13-17, 2013. Movie producers, actors, and those aspiring to be in the film industry had a great time watching some cool flicks, snapping up pictures and eating the finest gourmet popcorn on the planet by the mouthful. 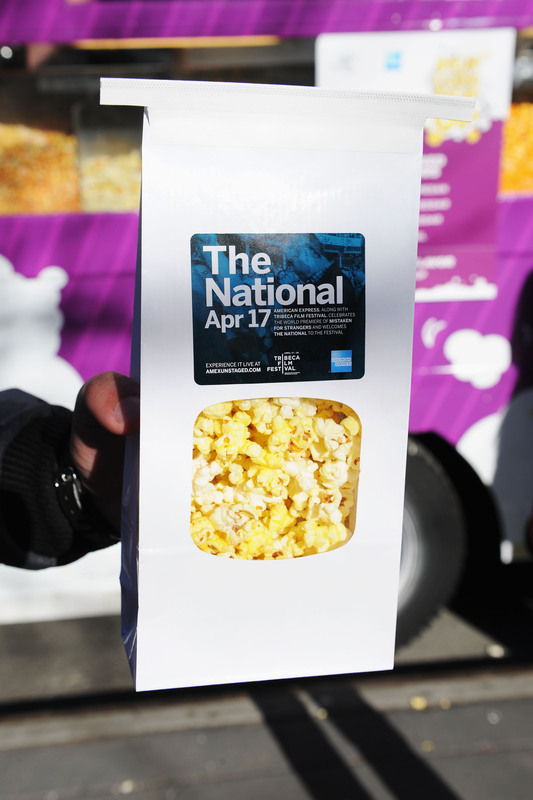 Our popcorn truck got a pretty cool makeover, courtesy of American Express and served five of our gourmet flavors to film festival patrons and staff. We also had the unique honor of being able to offer tickets to screenings for purchase. All in all, we met tons and tons of movie buffs, staff, all swarms of people who just love some good popcorn made fresh daily. This year American Express presented its guide for Festival-goers to make the most of their time at the Tribeca Film Festival, with suggestions on places to shop, eat and buy some great souvenirs. We also want to thank the good people of Manhattan for stopping by and hanging out with us and “kudos” to all the awesome film makers, producers and everyone else who made the Tribeca Film Festival such a massive success. We can’t wait until next year!